The Waorani people, legendary warriors and jaguar shamans, have lived in the Amazon for thousands of years. Today, global demand for oil threatens their way of life and a rainforest that our planet depends on for oxygen, freshwater, medicines and carbon storage. 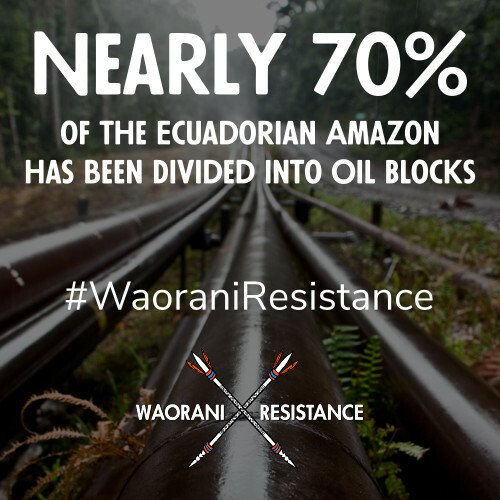 In the coming months, the Ecuadorian government plans to auction off Waorani land to the highest bidding oil company. 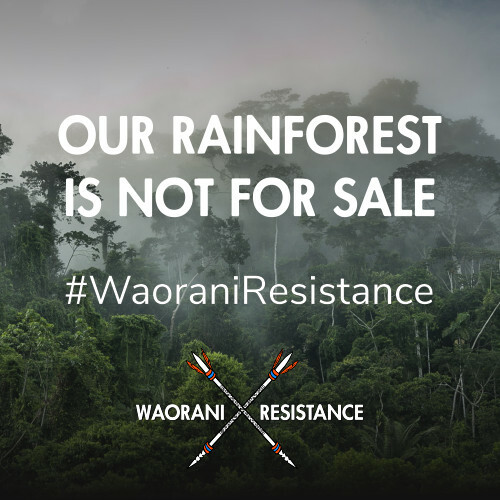 We have the opportunity to prevent an environmental and human rights disaster, and support the Waorani people in protecting a rainforest that we all depend on! X ½ tank of gas ($25) can fund a day’s work of a Waorani mapper and land patrol ranger. 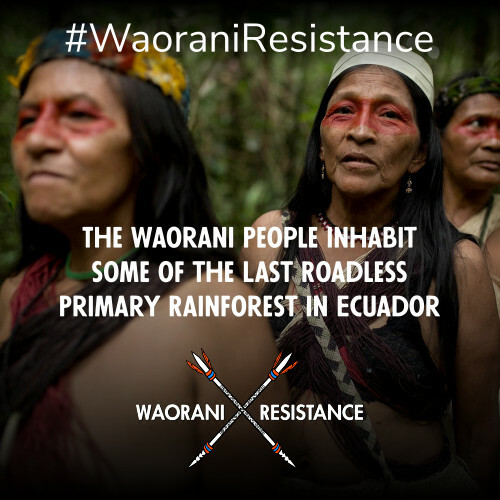 X 1 tank of gas ($50) will enable 1 Waorani elder to travel from the Amazon to Quito, Ecuador to protest the selling of their rainforest homeland. 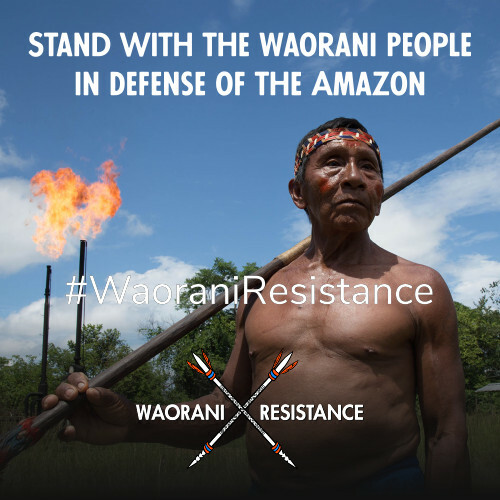 X 2 tanks of gas ($100) will support Waorani leaders’ travel to forge alliances with neighboring indigenous nations in resistance to oil extraction. X 10 tanks of gas ($400) can provide food and essential supplies for a local Waorani assembly. X 1 tank of gas monthly over a year ($600) will ensure ongoing waorani mapping activities and land patrols. X 2 tanks of gas monthly over a year ($1200) can provide a Waorani family with a rainwater harvesting system, which will ensure access to clean water for decades. X 4 tanks of gas monthly over a year ($2400) can provide 1 solar energy system for a roadless waorani family, supporting self-sufficiency and autonomy.